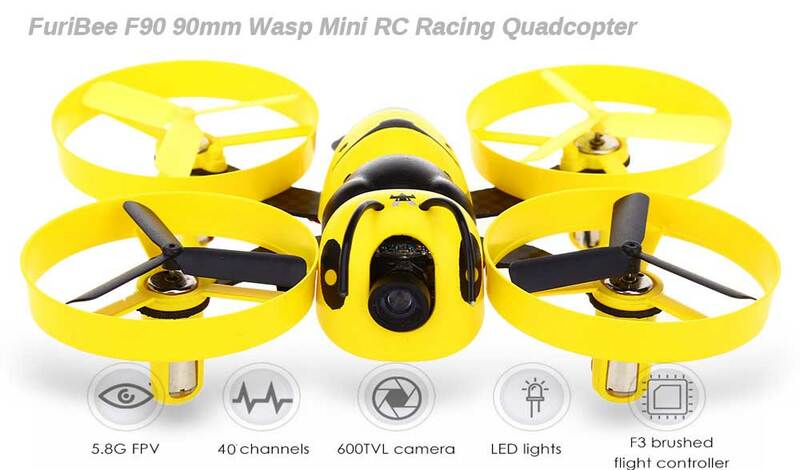 The new Furibee F90 Mini racing quadcopter is here. 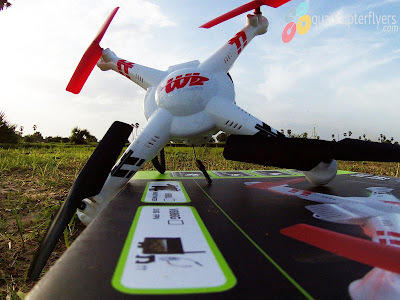 if you are looking for some character based mini fpv drone, this should be in your wish lists. Getting into the details, FuriBee F90 is a 90mm mini racing quadcopter drone with a wasp character design. (meaning: a social winged insect which has a narrow waist and a sting and is typically yellow with black stripes). 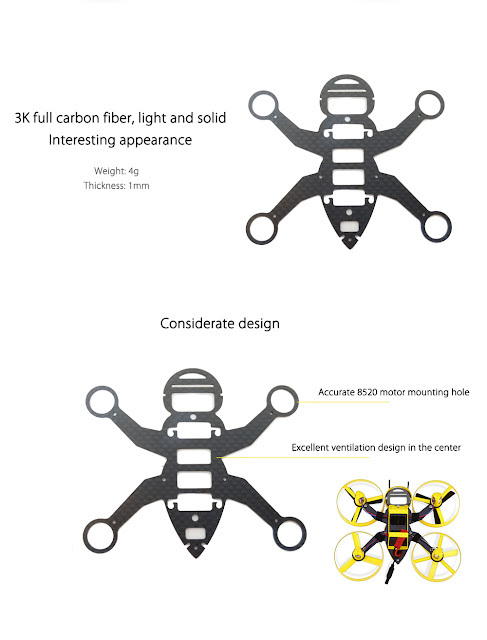 Indeed, Furibee F90 really resembles like a insect flying in the sky. 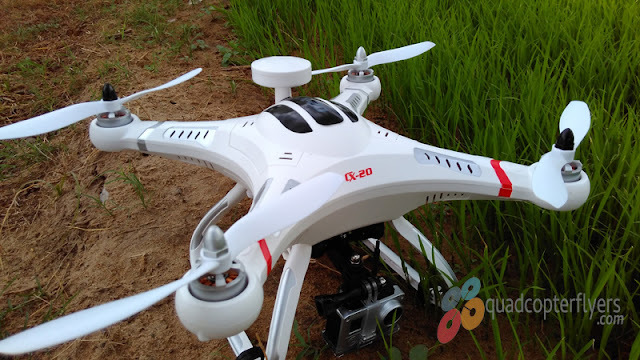 Its amazing propulsion system can be powered by 30C battery, and its brushed F3 flight controller supports 1 - 2S power supply. 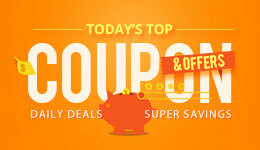 More importantly, it is integrated with an omnipotent receiver which is compatible with various protocols. 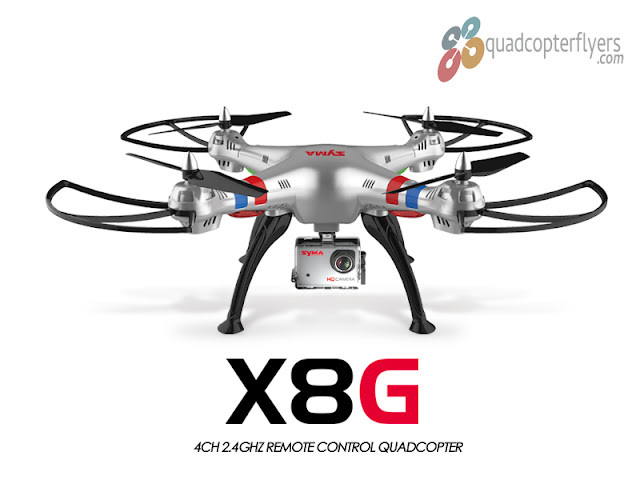 the flight controller integrates 6050 gyroscope, which helps to keep the balance of the drone, it has the ability to buzz out during low voltages and ensures it lands safely before the battery is completely dried out, if compared with the ordinary flight controller systems this is one of most handy features of today's quadcopters and drones, to get them land safely. 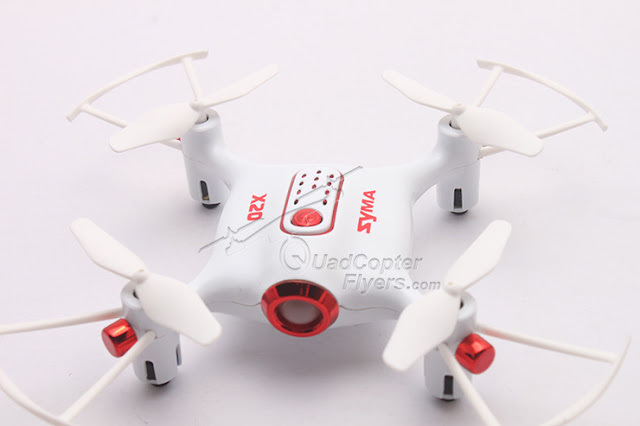 The ultra light coreless motor, has the ability to rotate upto 5200 times with the sufficient voltage input, in addition, the 35c discharge ability of the lipo cells allow the 90 mm wasp-like flyer to maneuver freely at higher speeds. DSM receiver supports a good number of protocols, including DHT, DFT, DJT, XJT, X9D Plus and X9e, well optimized for indoor and outdoor racing. 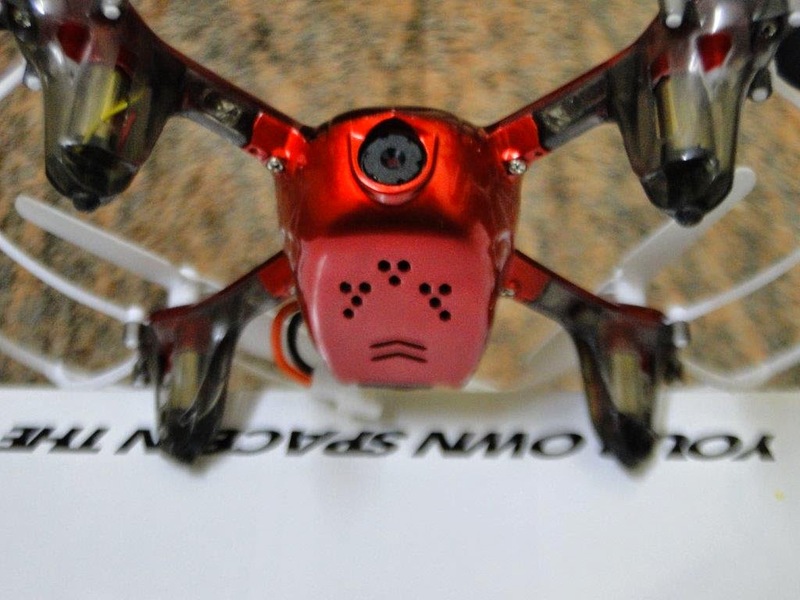 when compared to the ordinary receiver, furibee DSM receiver is small in size, measuring 9.5 x 1 mm and weighing as low as 0.5 grams which contributes to the overall weight of the mini quadcopter. when it comes to the receiving distance, its 1500 meters outdoors and 150 meters indoors! The battery has no ordinary design. Technically, it is 2 cell 7.4 volts 400 mah powered lithium battery provisioned with a JST connector to power the mini drone and the XH-3P connector to get the battery recharged, and compatible with most of the balance chargers. When compared to other cameras, F90 Camera offer 120 degrees field of view with 40 channels frequency and the control distance of the FPV images is about 100 meters, which is quite exception for a mini drone of this size, checkout the below comparison chart. The 600 TVL camera seems to performing well in the low light conditions when compared to the standard fpv cameras that ship with the mini quadcopters, the color reproduction system of the camera is great for the price that is being offered - quite impressed. 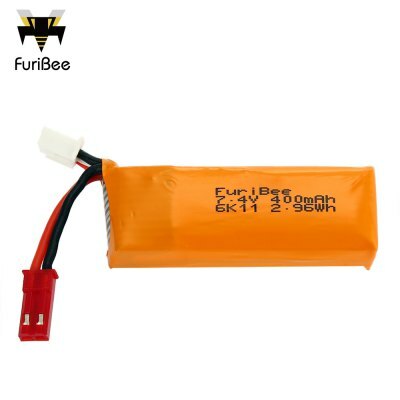 FuriBee F90, is it worth? Parts: furibee F90 parts are easily available from Gearbest, right from the DIY KIT , additional battery to the three blade propellers - discover here! DSM Rx does not work properly.. I recently order the Furibee F90 and have had the same problem. To top it all off GearBest is now refusing to exchange or refund the product after days of attempting to replace it. I recently bought the Furibee F90 and have had the exact same problem. To top it off GearBest is now refusing to exchange, fix, or refund the purchase. Definitely not worth it.